The latest proposal of fund infusion came after a meeting of civil aviation secretary Pradeep Singh Kharola and top officials in the PMO Friday evening, deliberating the possible way out to save the beleaguered airline. Debt-laden Jet Airways is expected to get another lifeline on Monday as the State Bank of India (SBI) led lender's consortium is considering a proposal to inject Rs 1000 crore into the airline immediately to keep it afloat. However, the banks are yet to reach a consensus on emergency funding. The development comes after the Jet management submitted an operational plan on how it tends to utilise the money till May 7. The resolution process has picked up pace after the Prime Minister's Office (PMO) intervened. 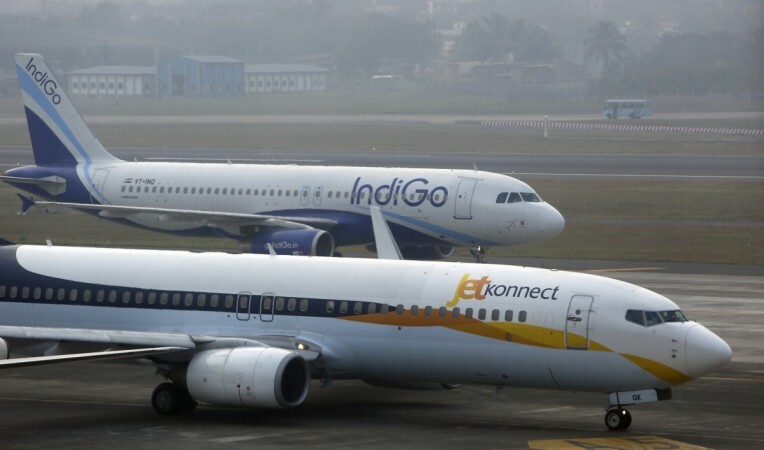 Financial daily, Business Standard reported that the management of Jet has been asked by the lenders to propose a plan highlighting the operational requirements by Monday. Earlier in late March, the banks-led resolution plan had announced Rs 1,500 crore through long-term debt instrument. But since then only 5 percent of it was disbursed in small tranches, putting the airline into further trouble. The latest proposal of fund infusion came after a meeting of civil aviation secretary Pradeep Singh Kharola and top officials in the PMO Friday evening, deliberating the possible way out to save the beleaguered airline. Jet management has informed the civil aviation ministry that it can operate only till April 15 due to severe funds shortage. Lately, the situation has just gone from bad to worse for the airlines. At present levels, Jet is flying only seven planes out of it's original 120 and has suspended its international operations. Moreover, the airline has defaulted on its payments to aircraft leasing firms, oil companies, vendors due to a severe shortage of funds and increasing debt of more than Rs 8,500 crore. The situation further deteriorated as its employees staged a silent protest for non-payment of their salaries. The lenders are expecting that the process of selecting the bidders will be over by 7th May. A senior executive of a public sector bank said, "by May 7, it would be clear if the airline has found a credible investor ready to pump in money. So the current plan of supporting the airline is till that time." The consortium of banks led by state-owned SBI called for an expression of interest (EoI) to buy a controlling stake (51-75 per cent) in Jet Airways. The consortium has received EoIs from players like Abu Dhabi-based Etihad Airways, which currently owns 24 per cent share in Jet; private equity fund TPG Capital; government-owned sovereign fund National Investment and Infrastructure Fund (NIIF). Interestingly, the ousted Chairman Naresh Goyal is eyeing a backdoor entry in the Jet cockpit again has also submitted his EOI.